City Synergy members and volunteers were saddened to hear that Dorothy died in hospital on the 1st February 2013. We were reassured to hear that through her last days she was surrounded by her close and loving family. She was 93. Dorothy was a much valued member of City Synergy from our start in 2003. We all felt so enriched by having her around, always supportive and generous in her encouragement. Even in her later years with deteriorating eyesight and limited mobility she remained a very active member of our group. Those of us who had the privilege of attending her funeral, hearing the tributes and talking to her family, got an appreciation of how much "Doffy", as she was known, was loved. She was so much a part of the lives of her nephews and neices and their families regardless of whether they lived nearby in London or further afield in France and Canada. Those who attended the Reminiscences evening held by City Synergy in September 2012 will not forget Dorothy's stories about growing up in London and particularly the vivid account of the doctor removing her tonsils on the kitchen table. We had hoped to hear more at a forthcoming evening, including her memories of wartime work at Bletchley Park, but it was not to be. It was only after her death that we learned the extent of Dorothy's contribution to the team at Bletchley Park. With typical modesty she had played down her role as largely administrative. But she was clearly very hands-on as part of a team that by common consent secured an earlier victory for the allies in the second world war and saved many lives. During her life, she made no mention of the MBE she later received for services to the Ministry of Defence. At our recent AGM Connie French paid tribute to her friend Dorothy. Connie said she had known Dorothy for over 30 years. She had been active in many groups including the Macular Society and RSPB. Connie expressed all our thoughts by saying how much she would be missed. A woman who helped crack Nazi coded messages during World War Two has died. 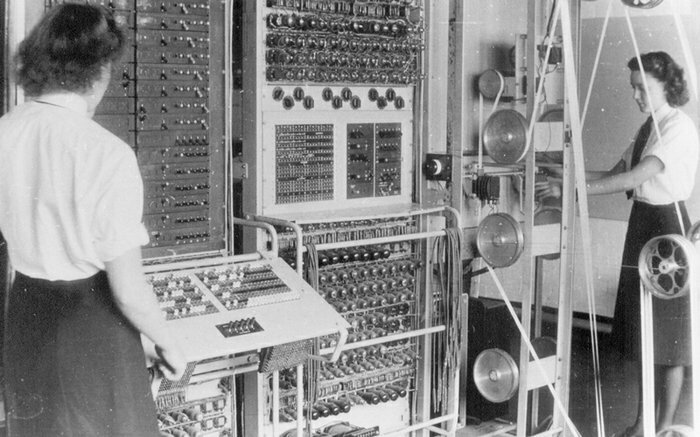 Dorothy Du Boisson, MBE, who worked for the Ministry of Defence (MoD), operated a code-cracking machine – the Colossus – at Bletchley Park. Messages gleaned from the equipment had a huge impact and “rewrote the course of World War Two”. In June 1944, the Allies were debating when to go ahead with the invasion of Europe – D Day. Eisenhower’s decision was directly influenced by information revealed by Colossus, which was operated by the Ministry of Defence but subject to strict secrecy laws. Miss Du Boisson, who lived off London Road, Brighton, suffered an infection and died in hospital on February 1, aged 93. Her family said she was active to the last, travelling abroad in January. Her nephew Richard Du Boisson, 62, who now lives in the South of France, said: “She was so modest about her achievements and none of us knew much about what she had achieved. “Earlier this week we were clearing her home when we came across her signature on documents about the Official Secrets Act – that was what she was like. “She always played down her past. “In her job the codes would come in and she would enter them all. He said his aunt was a keen traveller, an avid birdwatcher and loved family history. Pictures online show Ms Du Boisson, who moved to Brighton in 1970, operating the computer which was developed at Bletchley Park, the site of the Government Codes and Cipher School. Miss Du Boisson’s funeral will be held at 4.30pm today (Wednesday, February 13) at the Woodvale Crematorium and later at the Old Ship Hotel, Brighton.